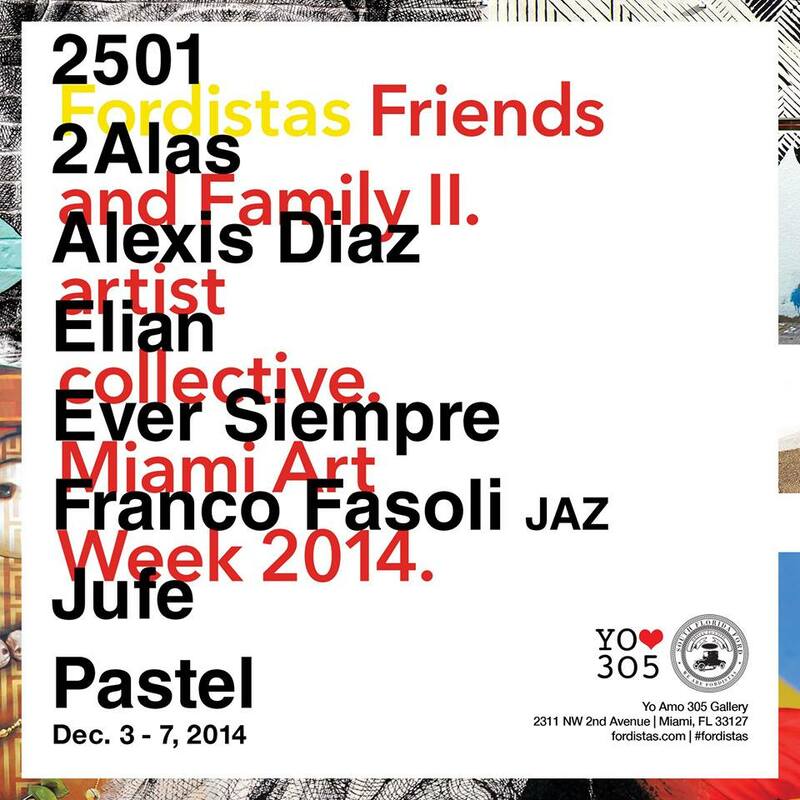 A lot of events coming to the city of Miami this Art Basel Week. This year’s Art Basel Week Guide is special to us because it is the first time we are hosting an event. 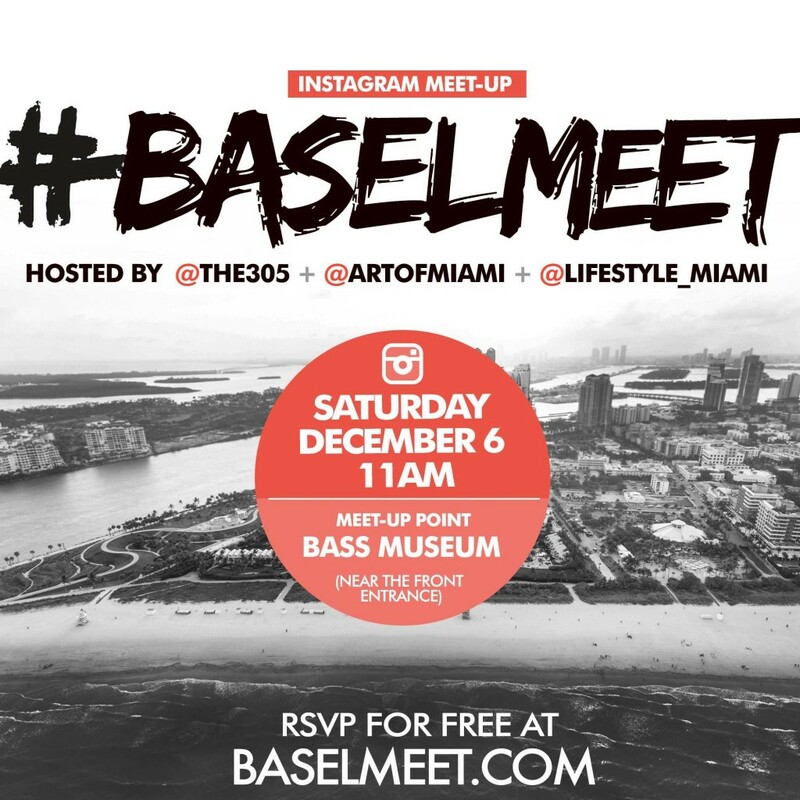 Almost every group, club, organization is hosting an event during Art Basel in Miami. Our event is for the Instagram community which plays an important part in promoting creativity locally, nationally and world wide. 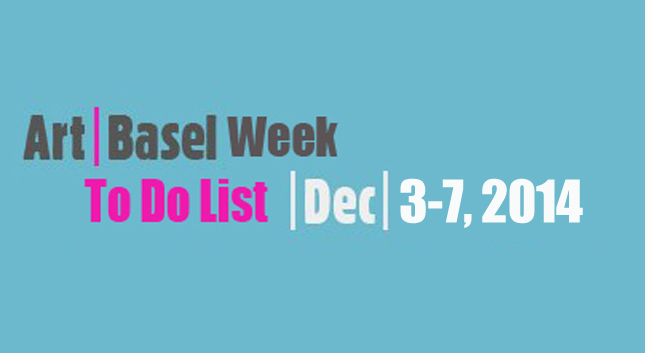 This is the official To Do List for Art Basel Week 2014 . We are not just saying this because we are fans of Jen Stark. Well, actually yes. Jen Stark’s work has captivated our attention and has inspired many posts in our site. 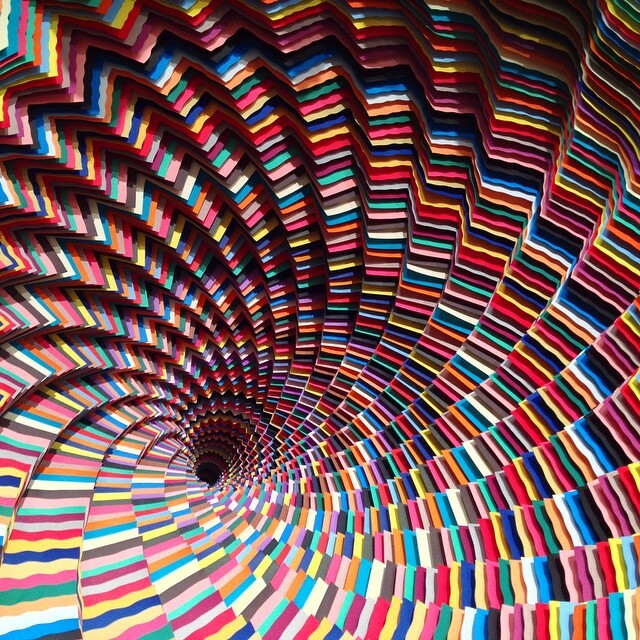 Since her departure from her native Miami to L.A, we and many others have craved the opportunity to view her colorful cosmic paper sculptures in person, once again. Don’t miss that chance during Art Basel Weekend at Eric Firestone Gallery booth. 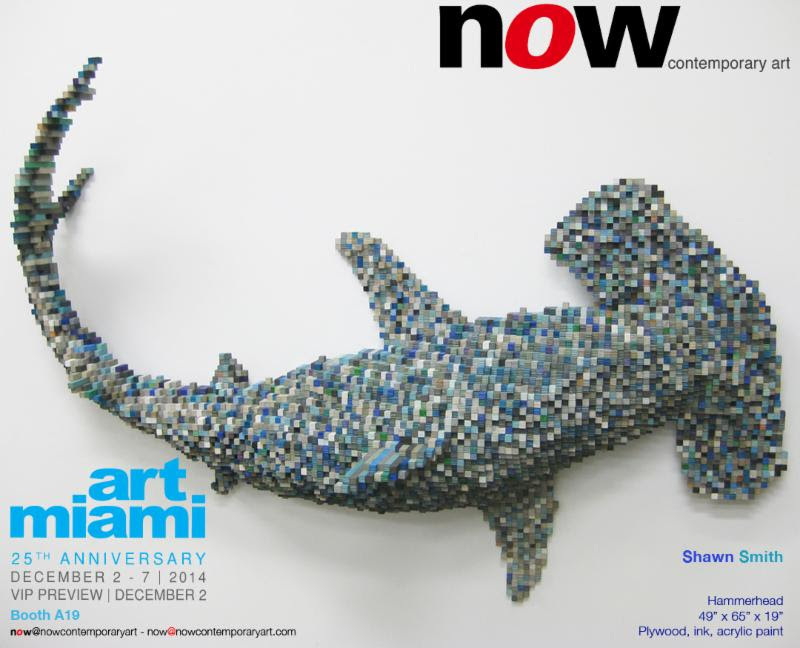 NOW Contemporary Art @ Art MiamiNo, the image of the shark is not low quality. Its the work of sculptor Shawn Smith known for his 3-d pixalized sculptures. On view at Art Miami art fair 2014 booth A19. 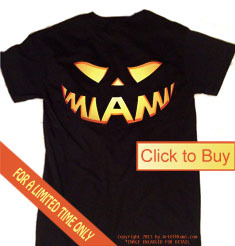 Known as Miami’s premier and first anchor fair and on its 25 year anniversary. Art Miami kicks off the opening day of Art Week — the first week of December when thousands of collectors, dealers, curators, and artists descend upon Miami. World-famous for its stylish gallery-like decor, its outstanding quality and extraordinary variety. The big boy of all the art fairs with museum quality art and the highest percentage of a celebrity encounters of all the art fairs taking place this Art Week. Trust me you wont be disappointed with he transformation made by top street artist from around the word and local grown. Artist includes Hoxxoh, Trek6, Aholsniffsglue, and more. 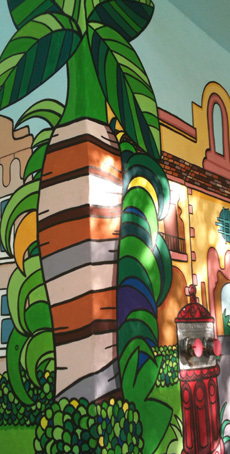 The murals range from colorful to humorous. My favorite being the mural of a kid sent to the corner for getting in trouble. Must see, trust me. 32nd st and NW 5th ave.
Marine Stadium ExhibitSome of the dopest contemporary street art will be on display in the Design District. 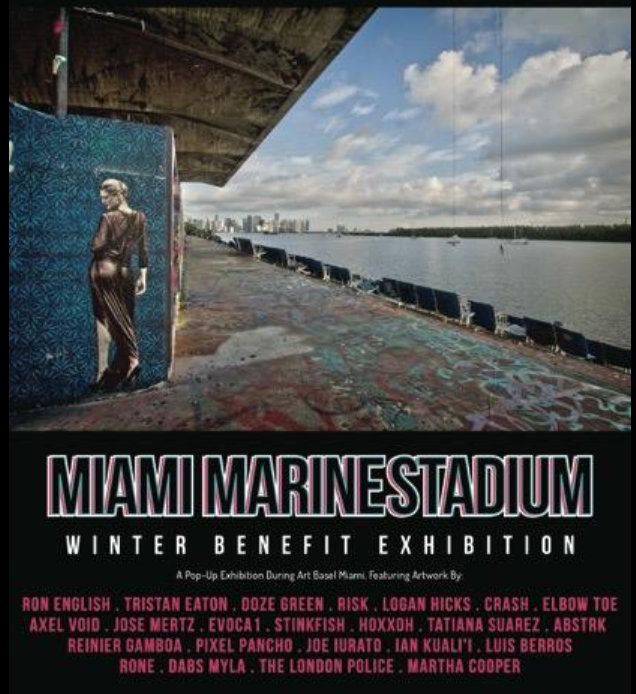 And this art is for a good cause, to raise money for the renovation of Miami’s beloved Marine Stadium. 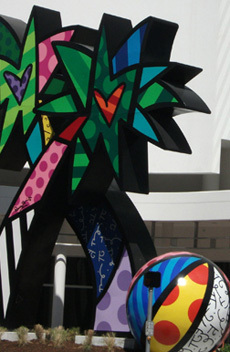 Miami Project is adjacent to Art Miami on 3101 NE 1st Avenue. 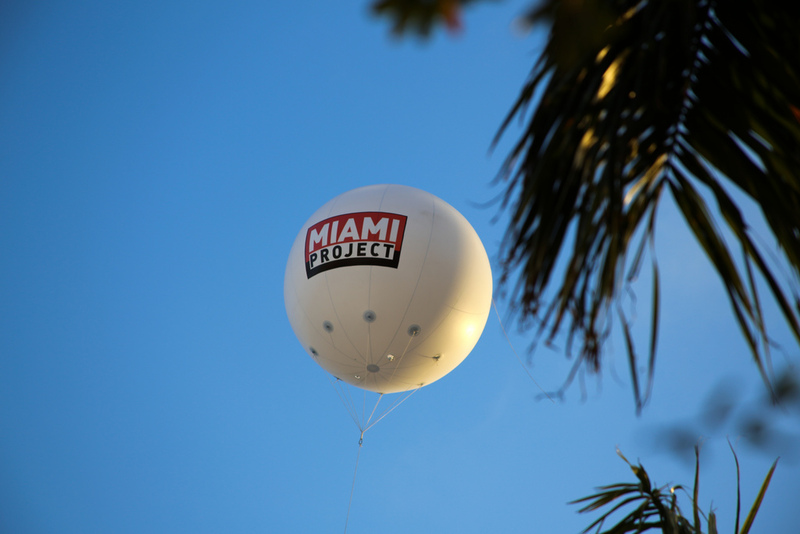 Miami Project’s debut was in 2012 with great success and it is coming back this year bigger and better. 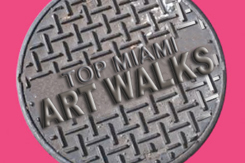 This year it makes our list for the quality of art and its variety of local Miami artist in the viewing. The Miami Project Pavilion is located at NE 29th Street and NE 1st Avenue. 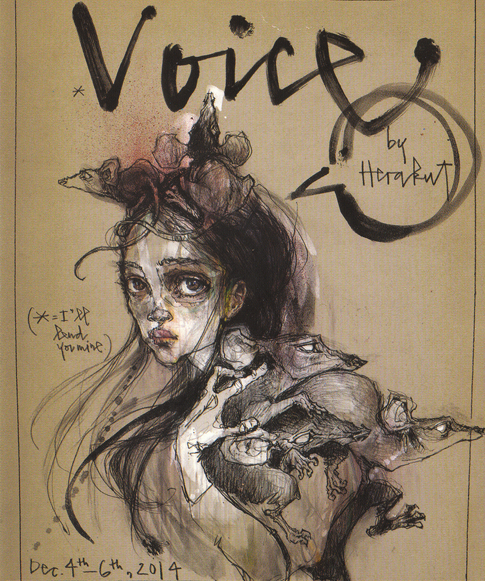 Berlin artist duo and street art vertuoso Herakut will be exhibiting paintings, drawings, prints and indoor instalations at MANA WYNWOOD. 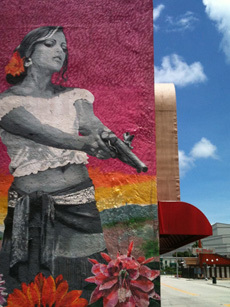 Also stop by there gigantic mural also located on NW 23rd street and 5th ave. It is a traffic stropper. YOu might get lucky and catch them at work. Check out pics of it on Instagram @artofmiami. 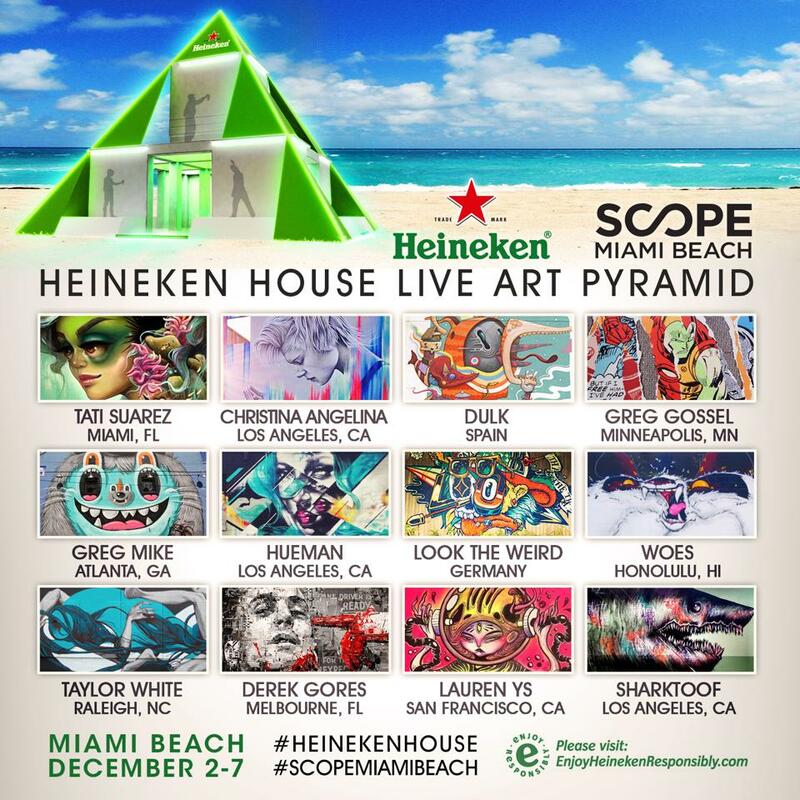 Serving as a focal point of SCOPE Art Show, the Heineken® House is the evolution of the Heineken® Mural Project. It is a multi-sensory experience, featuring a live art pyramid as its core. The massive structure stands at over 35-feet tall, the pyramid encompasses 12 massive live art walls to be painted over the course of six days at SCOPE Art Show. Guests will enjoy the live interactive painting in a larger-than-life functional installation designed by ABV (Atlanta), complete with a Heineken® bar and four open facades for an open-air experience. 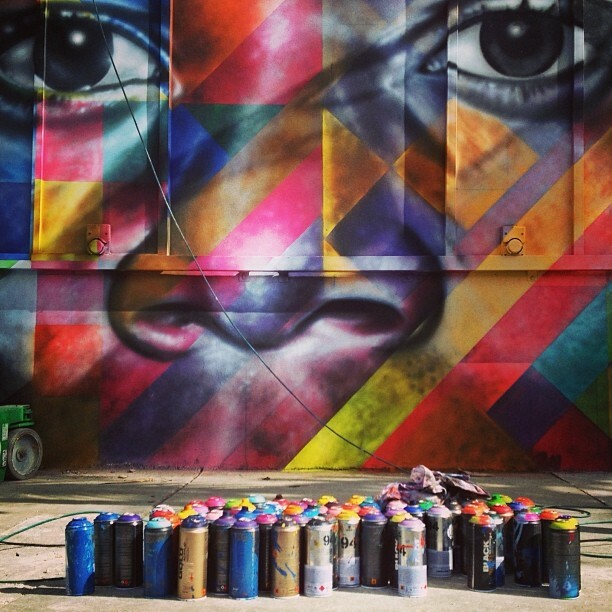 Check out the work of one Miami’s most talented Instagrammers, @Spore_One at Art Sees No Boundaries in Wynwood. 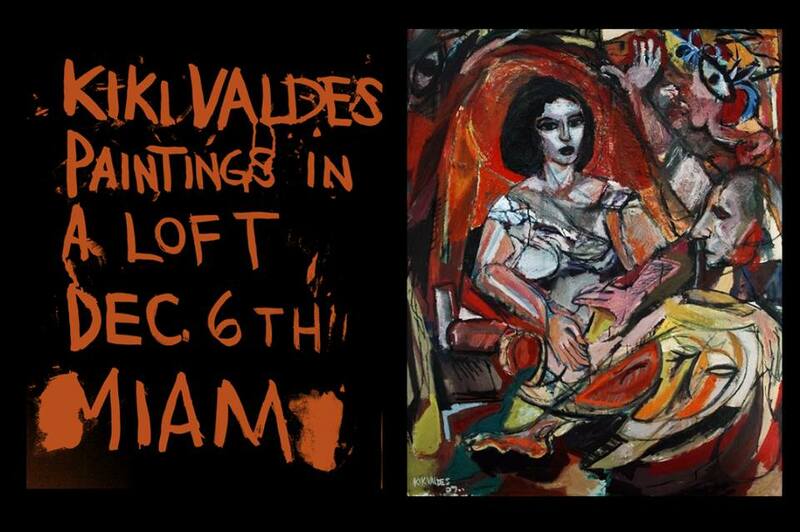 Opening reception is Friday Dec, 5th at 9pm. 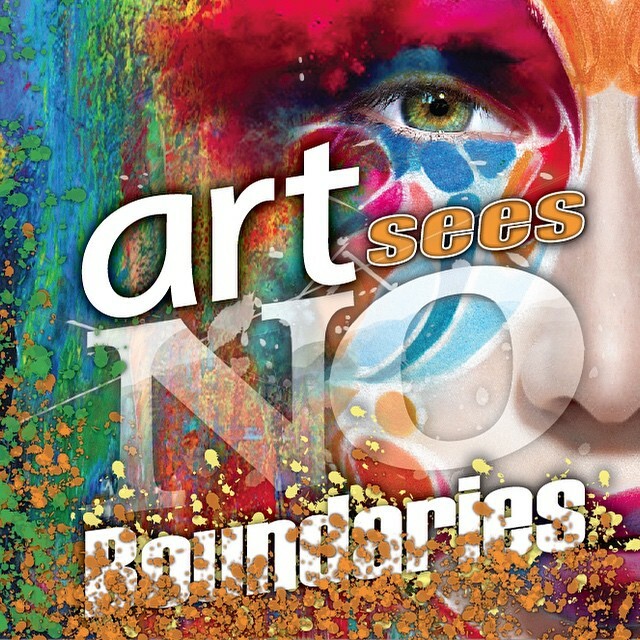 Sales from Art Sees No Boundaries exhibition will benefit Art in our publics schools. 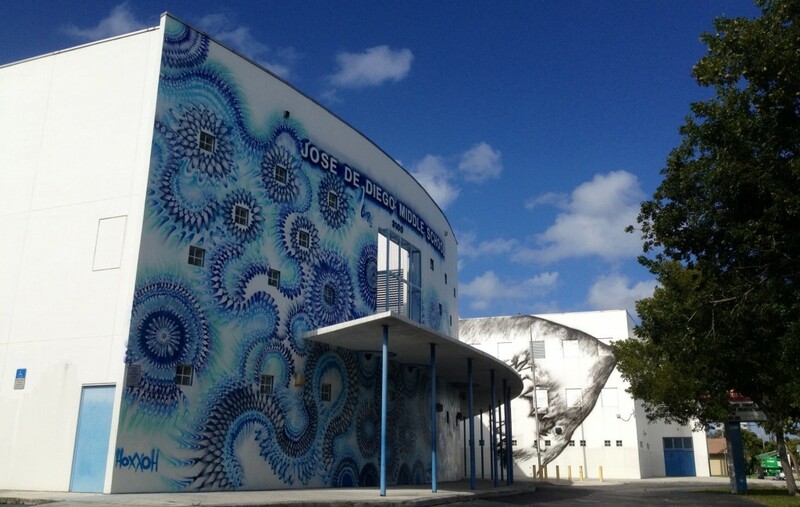 So go represent in Wynwood @Spore_one and the art for our schools. 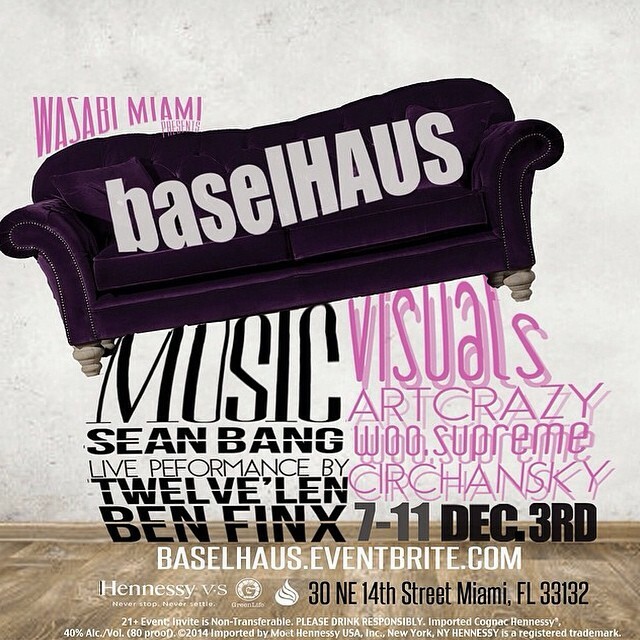 @Woo.Supreme at Basel Haus sponsored by Hennessy Dec 3rdMiami Instragram sensation @Woo.Supreme has caught the public eye in resent months. Take a look at his unique style and meet the artist/photgrapher at BaselHaus. Hosted Wasabi Miami and Sponsored by Hennessy. Fordistas residency program. 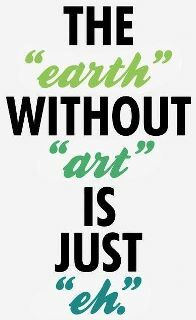 Artists being featured at the exhibit include,Never2501, 2Alas, Alexis Diaz, Elian, Ever Siempre, Franco Fasoli, Jaz, Jufe and Pastel. Details are included below. 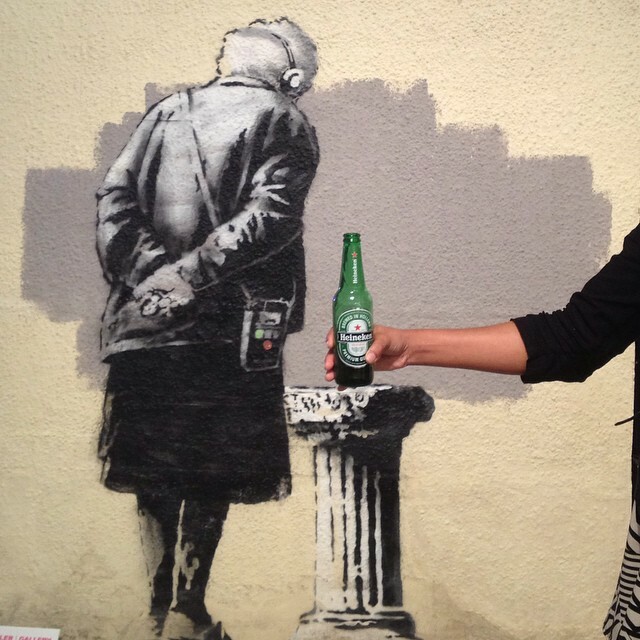 Want to see Banksy art in person without flying to London. Well, go to Art Miami Art Fair. They have three. Including this originallwall art extracted from a wall in Folkstone, UK. We have a fabulous Mark Hagen available at Aqua Booth 203 !